When flu season hits hard, pharmacists are well positioned to provide sound advice, promote wellness, and direct people to reliable resources. Here, five ways pharmacists can help during a bad flu season are identified and discussed. The severity of an influenza season can vary greatly from one year to the next and in the United States this is tracked by the national Influenza Surveillance System. This system assesses data such as deaths from influenza, influenza-associated hospitalizations, and outpatient visits for influenza-like illness. Since 2010, the Centers for Disease Control and Prevention (CDC) estimates that influenza has caused as many as 35 million illnesses, 700,000 hospitalizations, and 50,000 deaths annually. In late December of 2017 CDC released an official health advisory in which an increase in influenza activity had been detected and several important recommendations for clinicians were provided. Two key pieces of advice were to: (1) have influenza high on the list of possible diagnosis, and (2) to treat high-risk and hospitalized patients with a neuraminidase inhibitor (e.g., oseltamivir) ASAP, preferably within 48 hours of symptom onset. In the last couple weeks numerous national news outlets have been running stories about the 2017-18 flu season. This includes reports such as how the flu is putting stress on hospitals (NPR) and how the current flu season may go from bad to worse (Fortune). As of mid-January 2018, data from CDC shows influenza activity is widespread throughout the continental United States. With such attention being given to the 2017-2018 flu season, it can naturally be expected that this topic will generate considerable interest. To assist in helping both patients and providers during a bad season flu season, pharmacists are in key positions due to their accessibility in the community and integrated roles within healthcare systems. In an effort to identify the important roles pharmacists play in helping during a bad flu season and to promote the important services pharmacists provide, the following is provided. It should be noted that the capacity of pharmacists goes beyond what is listed here and the following were selected for their perceived relevance to the topic. There are a number of simple health habits that can assist in preventing the spread of infectious pathogens like the influenza virus. This includes things such as avoiding close contact, staying home when you are sick, covering your mouth and nose when sneezing, cleaning your hands, and avoiding contact with your nose, eyes, or mouth. Advising patients on good health habits and providing handouts (example here) is a simple way pharmacists can provide sound advice that is easy to follow. If the topic of hand hygiene arises, one resource for this comes from the Videos in Clinical Medicine series by the New England Journal of Medicine. Their content on hand hygiene reviews proper techniques for when using hand sanitizer or good old soap and water. According to CDC the single best way to prevent seasonal flu is to get vaccinated each year and the current CDC recommendation is for all persons 6 months or older to be vaccinated annually. CDC data show seasonal flu vaccine effectiveness has varied greatly since 2004-05 with a low of 10% in 2004-05 to a high of 60% in 2010-11. This means not everyone who gets a flu shot will be protected from the flu. However, more vaccinated people means more protected people, which translates into less potential for transmission and reduced likelihood for those at greatest risk (e.g., those with weakened immune systems) to be exposed to the virus. Pharmacists are well-positioned to remind people that getting the flu shot is not just something you do for yourself, it is something to do to protect others. Beyond encouraging vaccinations many pharmacists can now administer influenza vaccinations. Since 2009, all 50 states have approved legislation allowing pharmacists to administer flu vaccines. A recent study published in the Journal of the American Pharmacists Association found the number of pharmacists per 1000 population was associated with higher odds of influenza vaccination. Today, pharmacists in the United States play an important public health role in advocating for flu vaccinations and administering flu vaccinations. The clinical benefits of neurominidase inhibitors (e.g., oseltamivir) are greatest when therapy is initiated within 48 hours of symptom onset. Whether in the community or hospital setting, when a prescription for oseltamivir comes through, pharmacists can identify the prompt need for therapy initiation and use their unique knowledge of healthcare systems to ensure the necessary steps are taken to ensure it happens. Beyond just getting treatment started, pharmacists play an important role through counseling patients to improve compliance and by reviewing prescriptions to ensure the correct dose and duration is selected. CDC provides a resource for clinicians here that may be helpful for this purpose. Symptomatic management of viral illnesses is something many pharmacists are well versed in, especially those practicing in a community pharmacy setting. Whether it is sinus pain, runny nose, cough, sore throat, or something else, pharmacists can provide guidance so that the safest and most effective over the counter (OTC) medications are selected. 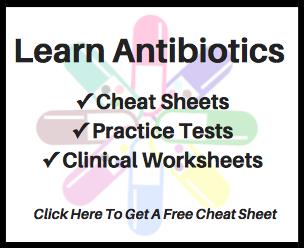 An excellent resource on symptom relief from viral infections comes from the CDC’s initiative on appropriate antibiotic use in the community, which can be found here. On the other side of the coin, pharmacists can assist in directing patients to the appropriate level of care when the situation calls for more than an OTC therapy. Many patients can be directed to their primary care physician, while others may need to be directed to an urgent care center or emergency department. A good reminder on the importance of triaging patients with flu comes from Chief of Medical Operations at Loma Linda University Health System Dr. Adrian Cotton, where their Emergency Department has seen a significant increase in the number of daily patient encounters in January 2018. In a recent NPR interview, he endorsed the idea that this flu season qualifies as a major disaster and encouraged people to start with their primary care doctors, saving the emergency visits for when they are really, really sick. Amidst a whirlwind of news stories and rumors it is important that people are directed to reliable sources where they can find facts about the flu. As the numerous citations throughout this article indicate, the CDC is an excellent resource for this purpose. In addition to numerous website pages on a wide variety of important flu-related topics, CDC has several apps that can be downloaded and are easy to use. You can also follow @CDCflu on Twitter to get updates and good information. This content is taken verbatim from the CDC’s December 2017 Health Advisory available here. It is provided, because it may serve helpful as pharmacists interact with patients and discuss the flu. If you get the flu, antiviral drugs are a treatment option. It is very important that antiviral drugs are used early to treat hospitalized patients, people with severe flu illness, and people who are at high risk for flu complications because of their age, severity of illness, or underlying medical conditions. If you have severe illness or are at high risk of serious flu complications, you may be treated with flu antiviral drugs if you get the flu. If you have a high-risk condition, treatment with an antiviral drug can mean the difference between having milder illness instead of very serious illness that could result in a hospital stay. Other people also may be treated with antiviral drugs by their doctor this season. Most otherwise-healthy people who get the flu, however, do not need to be treated with antiviral drugs. Studies show that flu antiviral drugs work best for treatment when they are started within 2 days of getting sick. However, starting antivirals later can still be helpful for some people. If your health care provider thinks you have the flu, your health care provider may prescribe antiviral drugs. A test for flu is not necessary. Antibiotics are not effective against the flu. Using antibiotics inappropriately can lead to antibiotic resistance and may expose patients to unwanted side effects of the drug. Other practices that may help decrease the spread of influenza include respiratory hygiene, cough etiquette, social distancing (e.g., staying home from work and school when ill, staying away from people who are sick) and hand washing.